Hennessey can boost the output to 300 hp. Before tuning any vehicle, it's important to know what you're starting with, and this video from Hennessey Performance shows off the company's baseline dyno testing for the 2019 Ranger pickup. 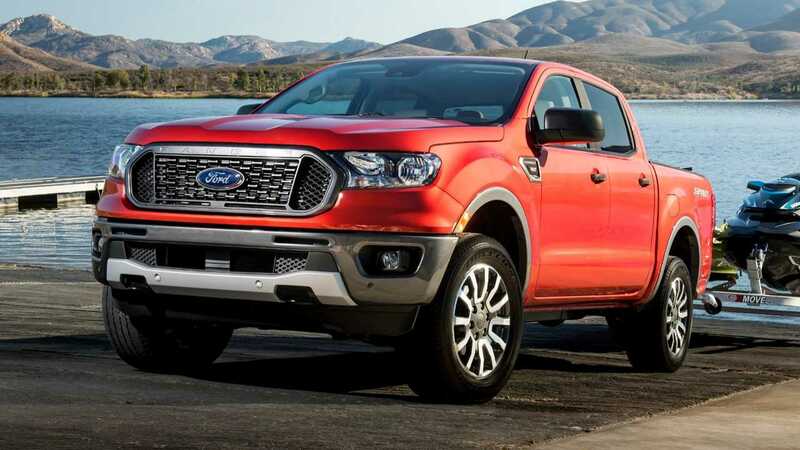 The famous tuner already has an upgrade package available for Ford's midsize truck, too. Hennessey's dyno shows the Ranger producing 243 horsepower (181 kilowatts) and 267.88 pound-feet (363.2 Newton-meters) of torque at the rear wheels. For comparison, the truck's stock ratings are 270 hp (201 kW) and 310 lb-ft (420 Nm). This amounts to a 10-percent loss in horsepower and 13.58-percent drop in torque in the power's journey from the engine to the road. Even in stock form, the Ranger doesn't sound too bad. There's a subtle whistle from the turbo from under the hood, and the engine note sounds meatier than you'd expect from just 2.3 liters of displacement. Hennessey's tuning package for the Ranger takes the 2.3-liter engine's output to 300 hp (224 kW) and 375 lb-ft (508 Nm) of torque. The tweaks include a high-flow induction system, stainless steel cat-back exhaust, and revised engine management software. As a further option, the tuner offers the Off-Road Upgrade that makes the Ranger look a whole lot meaner. These trucks wear front and rear bumpers in the style of Hennesey's VelociRaptor, in addition to having bolted-on fender flares to make the arches wider. The pickups ride on 18-inch 10-spoke wheels with 33-inch Toyo off-road tires. A front suspension leveling kit is also part of the extra equipment. If Ford doesn't bring the Ranger Raptor to the United States, then these modifications might be the next best thing.